This years hottest Xmas trend for 2014 has got to be the “Ugly Xmas Sweater!” It’s seems like everyone and their mother is hosting one of these swanky parties! Truth be told, my mother really did get invited to one! She asked me where to find an ” Ugly Xmas Sweater” and I told her to look in her closet! She was bound to find one! I think I insulted her because she hung up the phone and is refusing to take my calls! But, much like my mother, I was confused as to where I could find an “Ugly Xmas Sweater!” My party was last Friday and I shopped : Nordi’s , The Rack, Target, Ross and of course The Goodwill to come home empty handed! 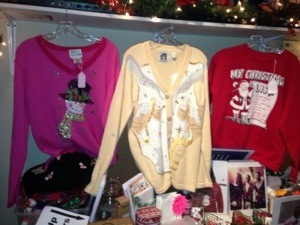 Until I was driving down Magnolia in Burbank and I found ” Shop Ugly Sweaters” They had several vintage sweaters to choose from! The owner ‘Chisa’ helped me pick out a great sweater! I ended up embellishing the “Ugly Xmas Sweater” with Some Xmas lights to make it extra special! 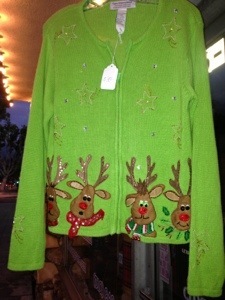 Check out the “Shop Ugly Sweaters” on Magnolia in Burbank! 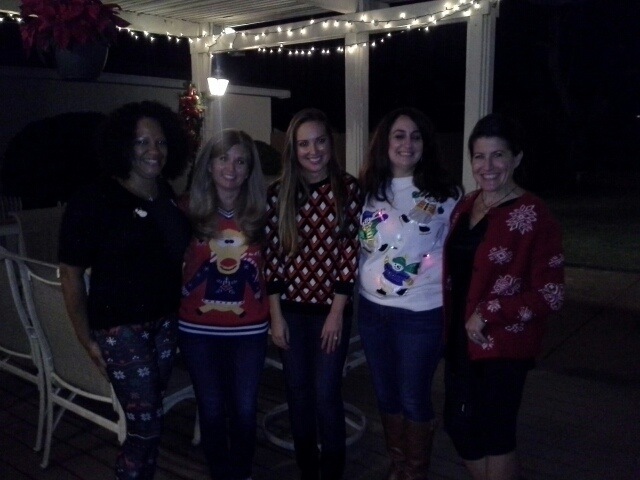 They have a lot of Xmas Ugly going on! Merry Xmas! I’m the one in white with the lights!